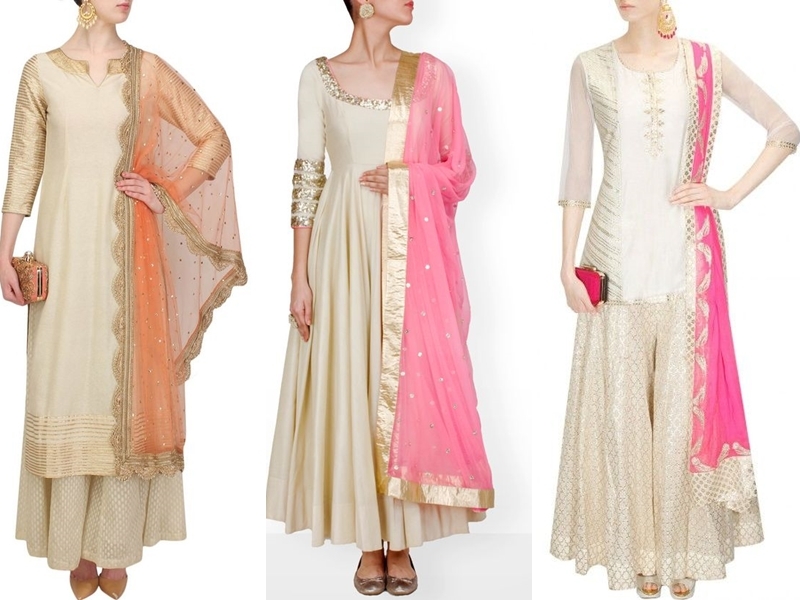 Are you a fan of simple plain Indian suits with heavy work dupatta? Welcome to our club!!! 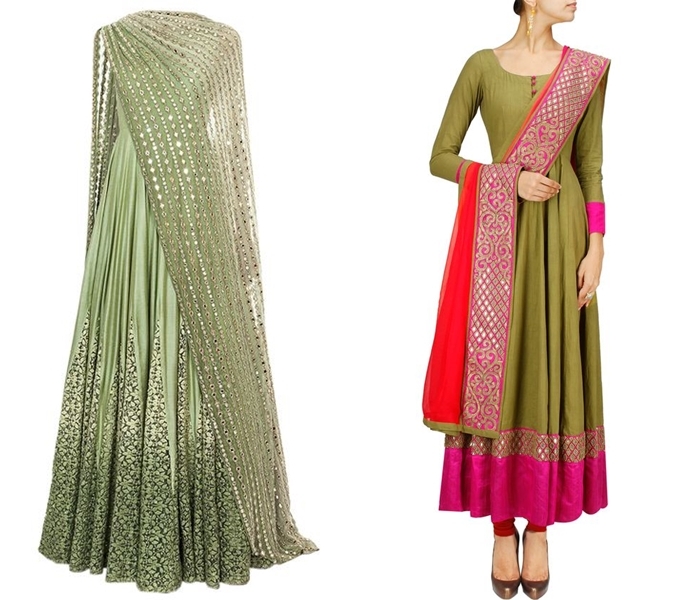 We are crazy of simple plain anarkalis, lehengas, salwars suits that are spiced up with an addition of heavy dupatta. This incredible combination is total winner with any outfit. It is a blessing for those who hate to be dipped on stone and sequin studded ensembles in important occasion. Girls, who hate the heaviness that tags along with ethnic outfit can play around with this way of styling their outfits. 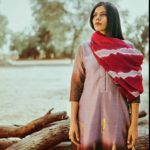 Plain suits with fanciful dupattas will give you a simple, yet sophisticated style without compromising the richness that comes along with Indian ethnic outfits. 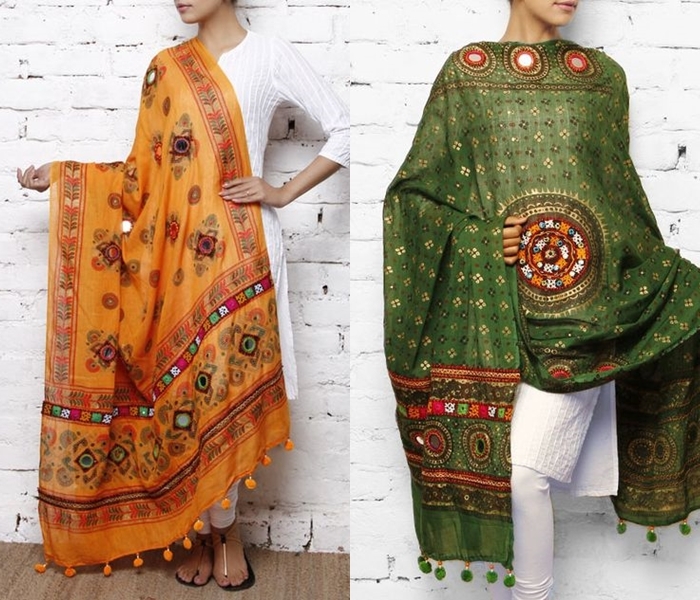 Because depending upon the occasion, you can choose the amount of work you want in dupatta. Yes, you heard us right! 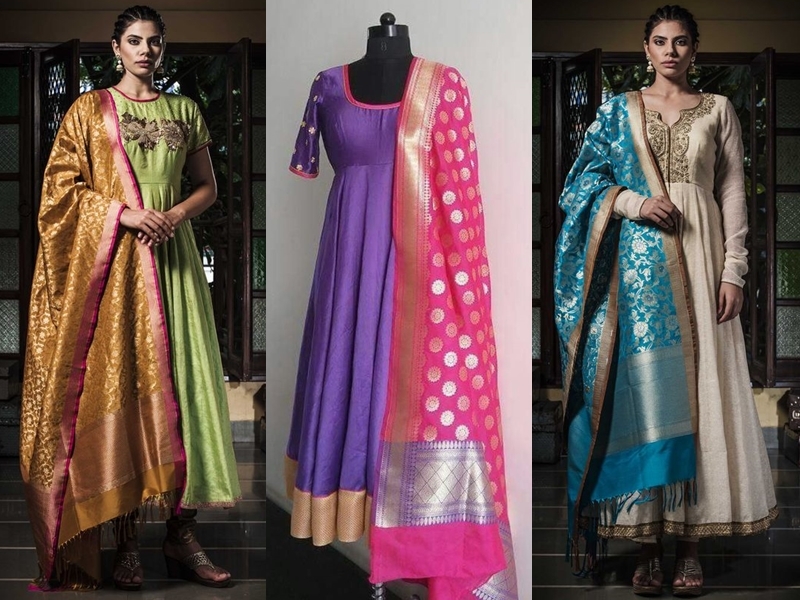 There are plenty of heavy dupatta options available for you to choose the one that hits you. If your outfit is for a grand event like wedding or reception, then you can go for glittery or brocade works that speaks for richness. 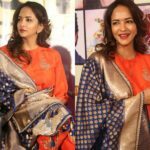 However, if the event you plan to attend calls for professionalism, then you can go for printed or kalamkari duptattas. As you see, the options are many. 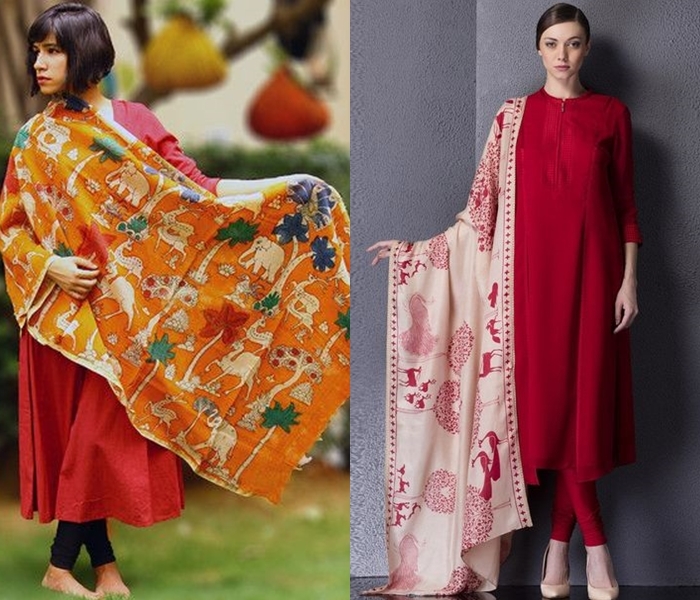 So don’t go limiting your choices by choosing the dupatta that catches your eye first. 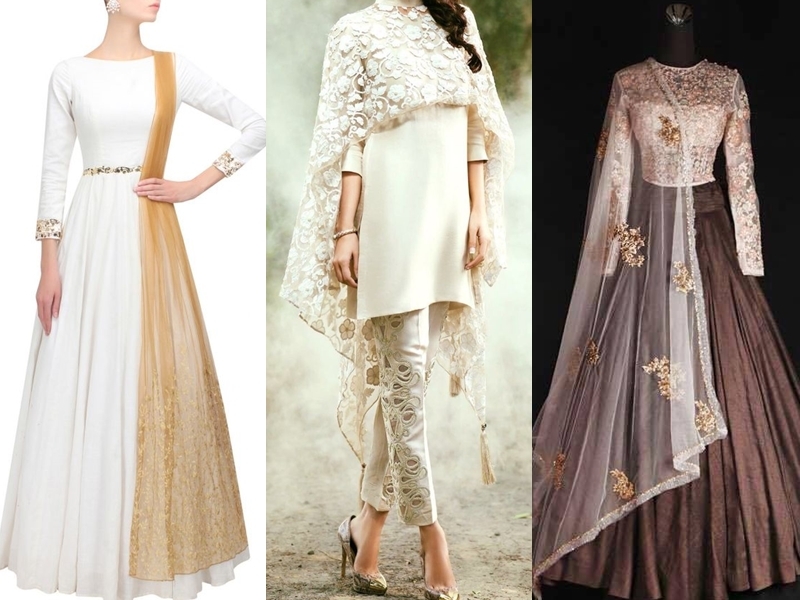 Scroll down and take a look on our 11 dupatta ideas to rock any simple Indian plain suits. 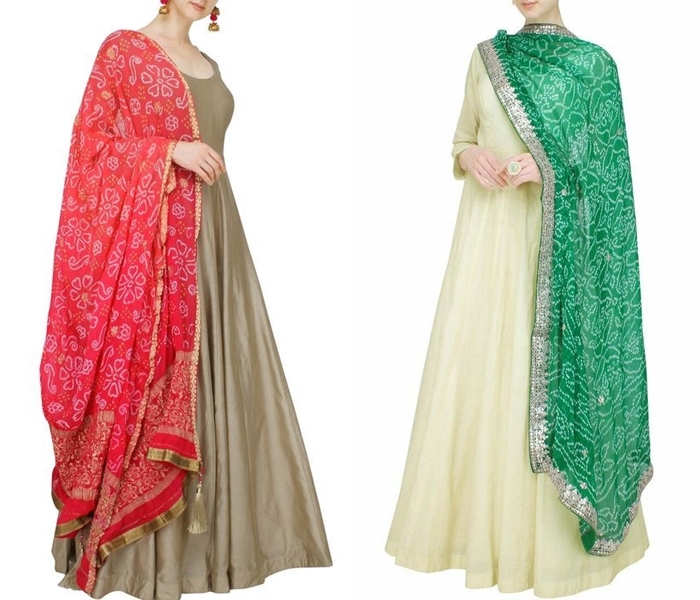 Matching plain suits with eye catching brocade dupatta is taking fashion world by storm. This style goes well with silk ethnic suits. 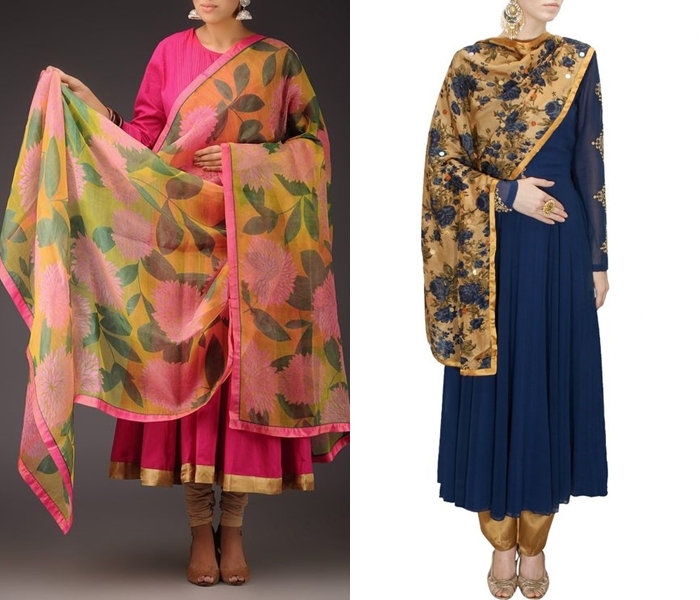 Be it salwar, anarkali, lehenga or simple skirt, when paired with contrasting brocade dupatta, it is sure to stand tall and attract all eye ball towards you! This is the most default dupatta type that many wear with plain suits. This goes well with plain georgette and chiffon suits. If you like to wear a party wear but don’t want to be a centre of attraction with all the glittery works, then this will fit your style perfectly. 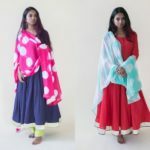 If you want an attractive dupatta but that should not feel heavy to wear, then pick a bandhani dupatta in vibrant color that blends well with your suit. 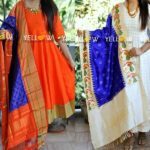 The chicness and the ethnic appeal that comes with this style dupatta makes it widely popular among young girls and women. We all know how florals have special place in every attire. It is quite hard to locate a trend that is devoid of bold flowers. It resembles strong feminity thus making it a more favoured prints among the rest. These floral prints will make a extraordinary combination for your simple suits. Mirrors, the beauty of this glistening small element gets multiplied when its touches your attire. Mirrors can do magic to any outfit. 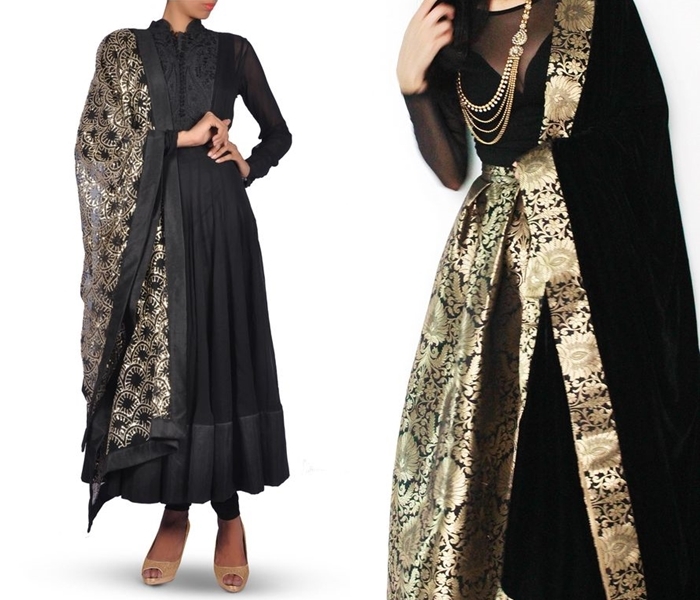 Pairing simple suit with heavy mirror studded dupatta can make a spectacular show. This combination makes a best outfit for late night events and parties. If you don’t mind sparkling things on your attire, then this can be your best bet. Good news is, these dupattas are well within the budget. 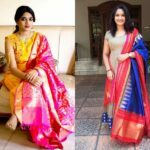 If you are looking for a stand-out dupattas that are not too expensive, then go for zari work or other glittering variations on dupattas. When you opt for this one, go for darker hues as they highlight the work with more precision. Any piece of cloth when fixed with a zari border around the corners will instantly be transformed to party wears. Try this with your dupatta and pair them with your boring old salwars and anarkalis. You will realize that you have successfully converted your least favourite clothing pieces to designer suits. If you want a fuss-free party wear that calls for a fusion look, then go for any mild shaded suit with a subtle net dupatta to round off your look. Depending on the kind of attraction you want to make on your dress, you need to go for detailing in your sheer dupatta. 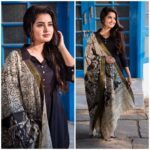 If your plain suit is for a formal or casual outing, then you need to opt for dupattas that is easy to pull off on everyday basis. Best choice could be to go for a bold printed cotton dupattas. This, when clubbed with simple cotton salwar or anarkali will make a nice combination especially on Indian climate. 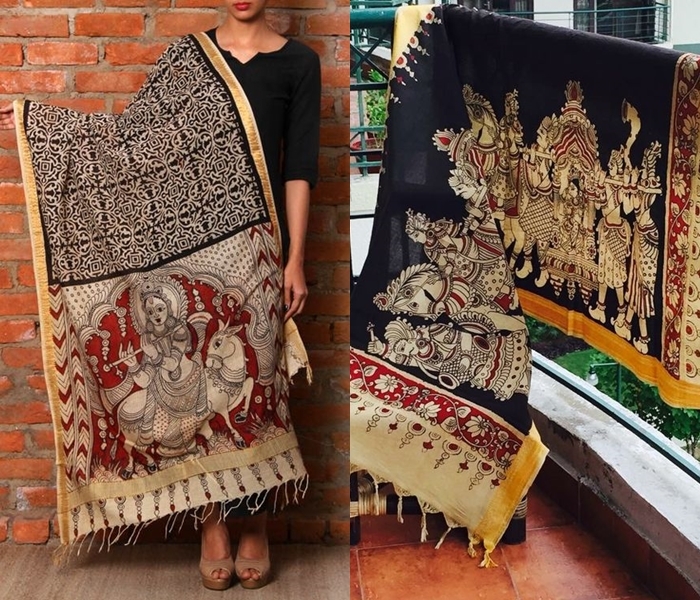 Who hasn’t been fascinated by the utterly gorgeous kalamkari prints? They speak for Indian tradition, thus giving a classic flavour to your outfit. Simple plain salwars with bold kalamkari prints should definitely have a place on your wardrobe. Also for a good reason, these dupattas are highly affordable. So don’t miss out these evergreen beauties. Mesmerizing thread work adorned further with mirrors at right places makes kutch work a highly popular art form in clothing at India. This work when made on dupatta gives such an edge to your outfit. This combination is well suited to wear casually or even formally to office and college. 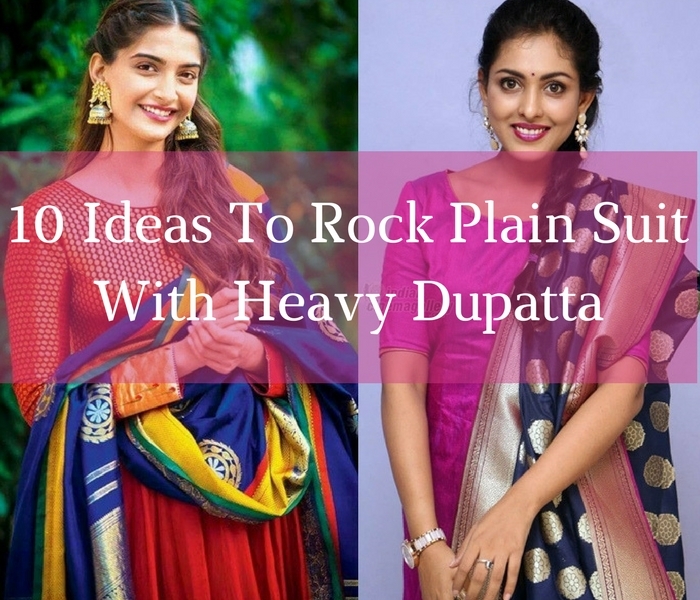 So, dear friends, with this, we are going to wind off our picks of heavy dupatta ideas that can actually make your plain suits elegant. Do try them out and let us know how it turned out. If you have other creative options that can be matched with simple plain indian suits, then do drop your comment below. We are waiting to hear from you! Next articleThe Saree Hack You Should Learn from Sridevi! 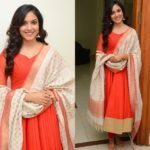 From This Post, i will So much Information about Indian suits and style funda which help me for rocking ideas with plain Suits with heavy Dupatta.